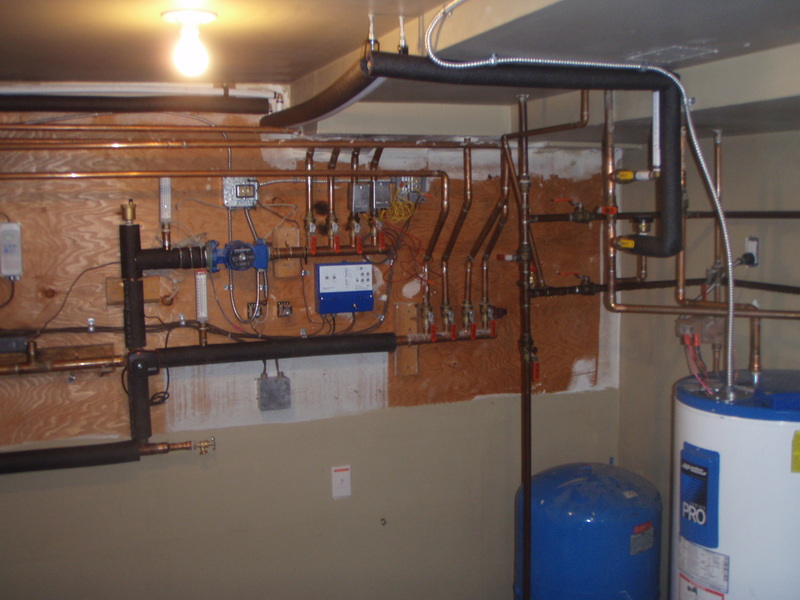 In this application, fuel oil was burned in a low efficiency boiler for space heat and, year round, for domestic hot water. 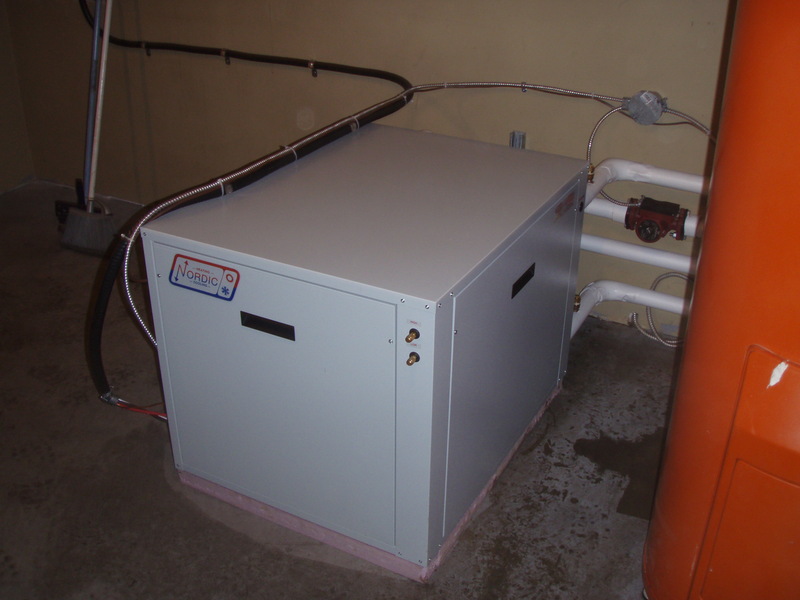 Thermal efficiencies on aging boilers of this type can be as little as 50-60% meaning half the internal energy in the fuel oil is not effectively converted to useable heat. 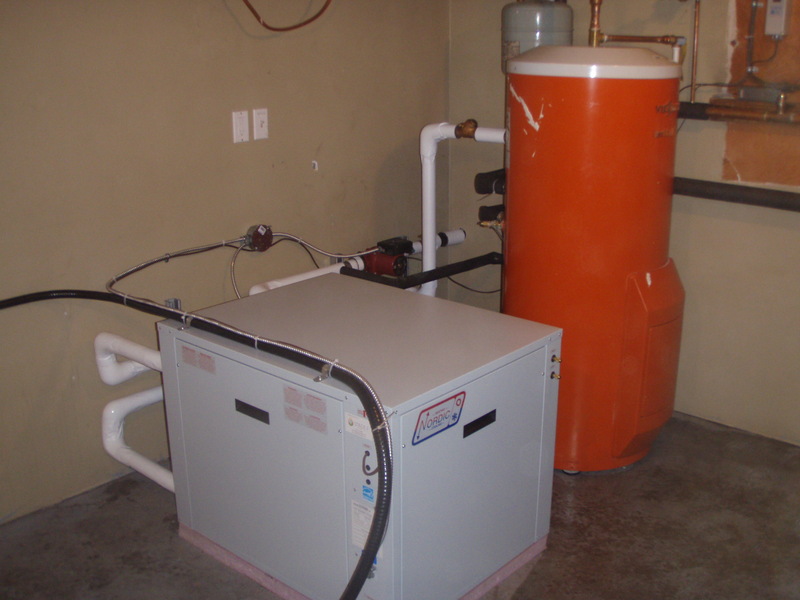 We replaced this oil burning system with a modern, high efficiency, geothermal system. All of the heat and domestic hot water now utilizes electricity (which in BC is overwhelmingly hydroelectric with minimal carbon footprint) at a system COP of 3.5 or efficiency of 350%. Now that’s an improvement. 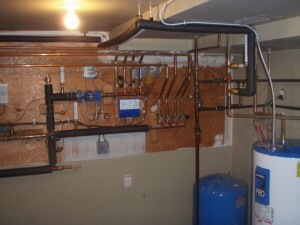 Due to the fact that we were replacing an expensive fuel (oil @ 1.25/l), able to utilize a cost effective horizontal loop, and available incentives, this installation was very affordable with a short term return on investment. A 2 pipe per trench horizontal ground loop provides superb performance, minimal pumping power requirements and minimum pipe in the ground. 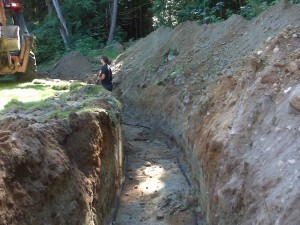 It does however require more digging and more land, but provides excellent long term performance. By utilizing an outdoor reset control strategy, we can provide more even heat to the spaces, reduce energy consumption and not overshoot or undershoot our heating set points.